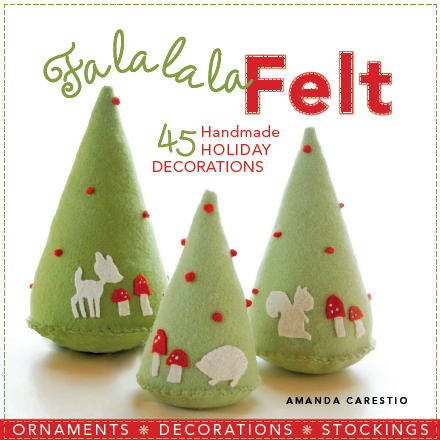 These cute felt trees were made by Amanda Carestio. Her designs can be found in this book. You can find more info about her, as well as other neat stuff on The Long Thread Blog. Thanks Anna!! I'll try Ikea.